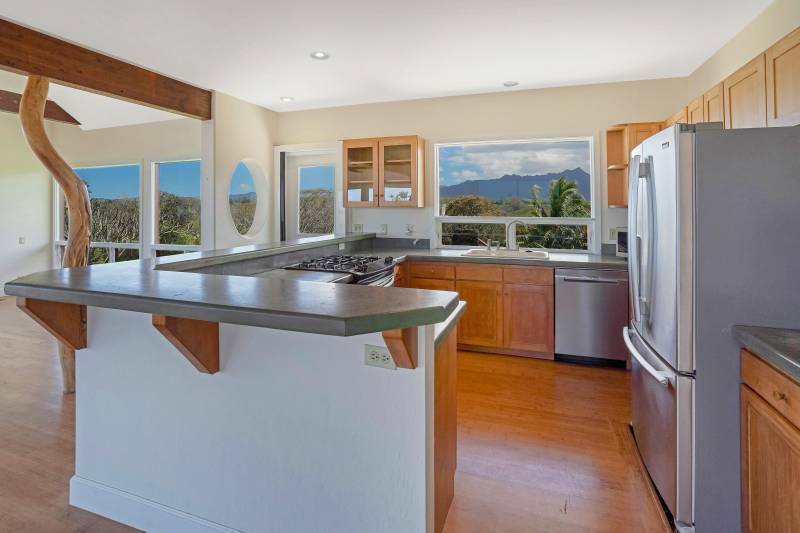 Perfectly perched above the Pacific, this 4BD / 3 BA home offers stunning ocean and mountain views. 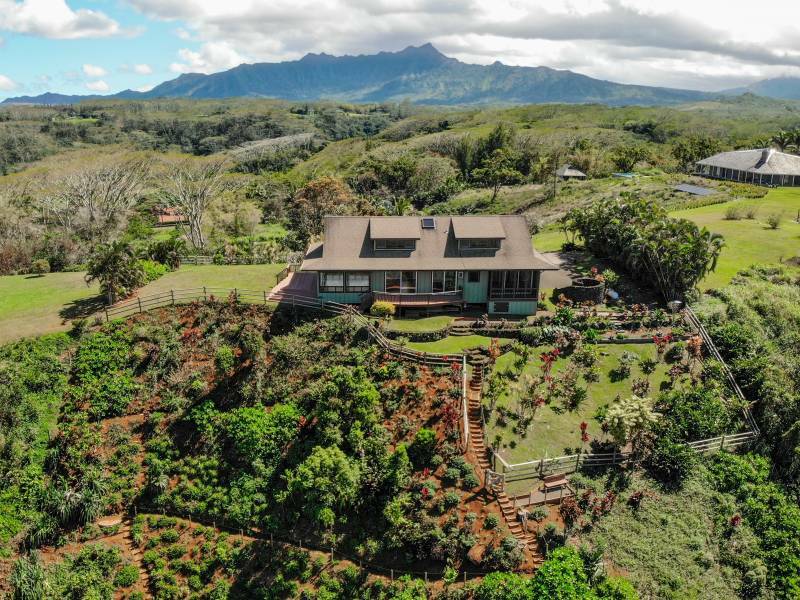 After coming through the private gate onto the 3.68-acre estate, the driveway climbs past an exotic fruit orchard to the private 2-story home atop the hill. With over 3000 sqft. 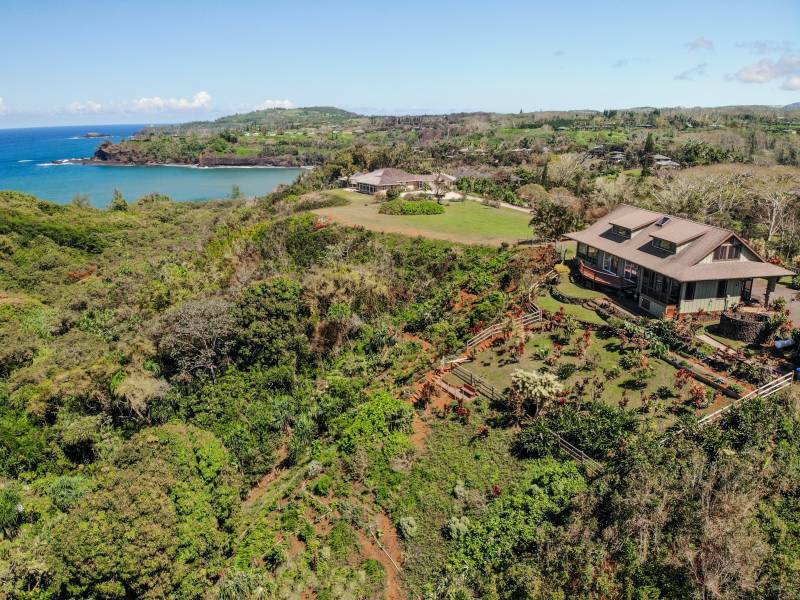 of living space, every room in the home was designed to take in the panoramic views of Kalihiwai Bay, the Kilauea Point Lighthouse, the Namahana mountain range, and more. 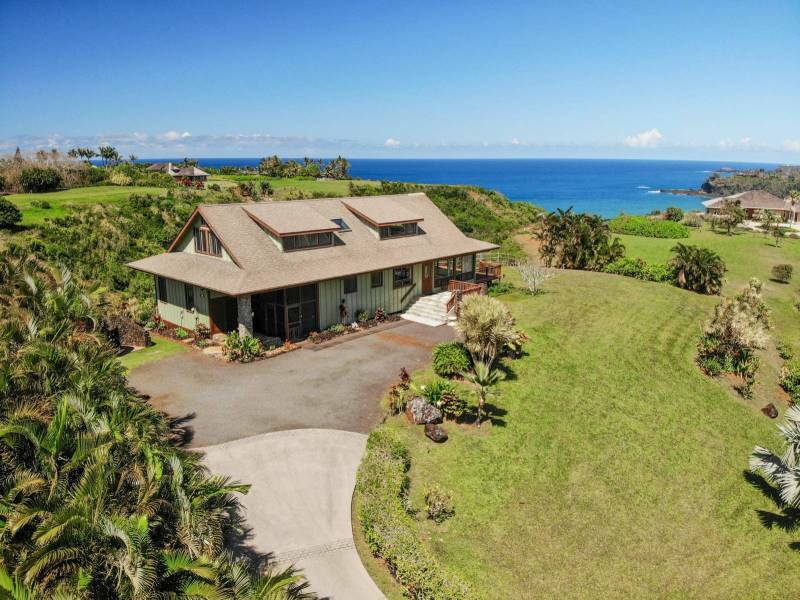 The home is almost entirely wrapped in decking, allowing even more opportunity to take in the lush greenery, long views, and blue waters. The spacious and bright residence offers great potential to upgrade and customize as your own. 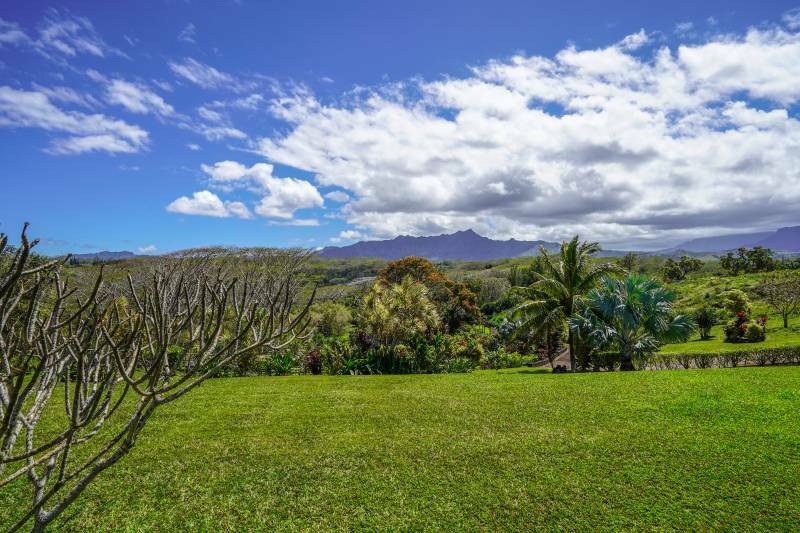 Adjacent to Anini Vista, this property, rich in history, extends down into the makai (ocean) facing valley that has been meticulously curated with native Hawaiian flora and with a botanical walking path that reaches all the way to the bottom. Great time and attention has been given to restoring the native landscape and providing healthy habitat for local wildlife. The orchard on the mauka (mountain) side of the property boasts dozens of mature tropical fruit trees including mango, orange, grapefruit, lime, pomelo, banana, papaya, starfruit, lychee, longan, rambutan, breadfruit, mountain apple, mangosteen, soursop, mamey, abiu, the "lemon meringue pie" fruit, and others. 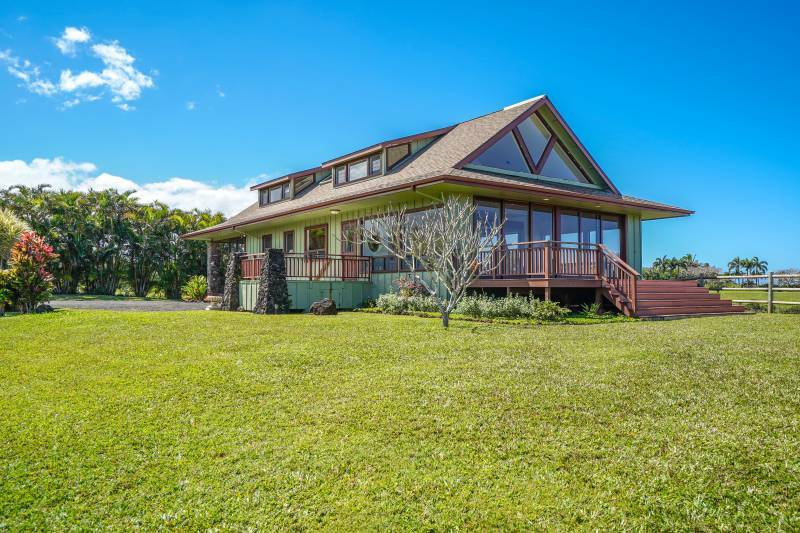 3320 Kalihiwai Rd is somewhat of a living Kauai fairy tale... Beautiful home nestled on the grassy hillside with resort-level gardens on all sides, lovely lava rock walls and outdoor shower, whales in the ocean below and afternoon rainbows over the bay. 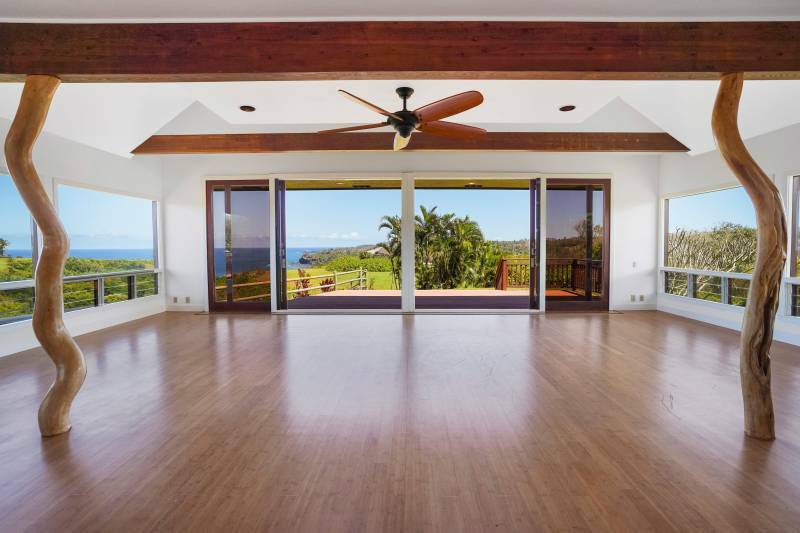 This home beckons to make all of your dreams a reality.Offered at $2.8M — Listed by Amy Frazier RS and Billy Eckert RSFor more information about 3320 Kalihiwai Rd, visit LuxKauai.com or contact either Amy or Billy.